Huspeni, Judge Blue Earth County District Court File No. 07-CV-06-3020 William A. Moeller, Jill K. Baker, Blethen, Gage & Krause, PLLP, 127 South 2nd Street, P.O. Box 3049, Mankato, MN 56001 (for respondent) Charles J. Lloyd, Livgard & Rabuse, P.L.L.P., 2520 University Avenue Southeast, Suite 202, Minneapolis, MN 55414 (for appellant) Considered and decided by Dietzen, Presiding Judge; Ross, Judge; and Huspeni, Judge. 1. The Minnesota No-Fault Automobile Insurance Act, Minn. Stat. �� 65B.41-.71 (2006 & Supp. 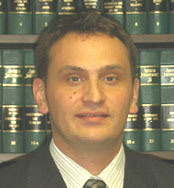 2007), allows the district court to determine coverage issues before compelling arbitration.  Retired judge of the Minnesota Court of Appeals, serving by appointment pursuant to Minn. Const. art. VI, � 10. Auto Owners Insurance Co., Respondent, vs. Star Windshield Repair, Inc., as Intended Assignee of A & E Construction Supply, Inc., et al., Appellant. 2. A nonassignment clause in an insurance policy may prohibit the assignment of postloss insurance proceeds. O P I N I O N HUSPENI, Judge Appellant challenges the district court�s award of summary judgment to respondent, arguing that the court incorrectly permanently enjoined arbitration proceedings, and incorrectly determined that respondent�s nonassignment clause prevented assignment of postloss proceeds. Because we conclude that the Minnesota No-Fault Automobile Insurance Act, Minn. Stat. �� 63B.41-.71 (2006 & Supp. 2007) permits district courts to determine coverage issues, that the nonassignment clause is enforceable, and that respondent did not waive its right to nonassignment, we affirm. FACTS The dispute in this case involves ten customers of appellant Star Windshield Repair, Inc. who were insured by respondent Auto Owners Insurance Co. As payment for windshield-repair work, Star Windshield accepted an assignment of each customer�s insurance proceeds. After Star Windshield billed Auto Owners, the insurance company sent Star Windshield a payment for less than the amount billed. Star Windshield. The district court issued a temporary restraining order, enjoining the arbitration proceeding. Star Windshield moved to dismiss the declaratory-judgment action. The company argued that arbitration was mandatory under the act and that the district court therefore lacked subject-matter jurisdiction to rule on the nonassignment clause. The district court denied the motion. Auto Owners then moved for summary judgment, arguing that the nonassignment provision in the insurance contracts prevented the customers from assigning the proceeds. Star Windshield argued in response that Minnesota law permits the assignment of postloss property insurance proceeds even when a policy includes a nonassignment clause. The district court granted Auto Owners� motion for summary judgment, and in an accompanying memorandum, reasoned that the plain language of the nonassignment clause prevented assignment of rights under the policy. In addition, the district court stated that even if Star Windshield had been assigned the proceeds, it did not have the power to enforce its rights directly against Auto Owners. Star Windshield now appeals. ISSUES 1. Was the district court required to compel arbitration under the Minnesota No-Fault Automobile Insurance Act? 2. Does the nonassignment clause prevent assignment of the right to an undetermined amount of postloss proceeds? 3. Did Auto Owners waive its rights under the nonassignment clause when it sent a payment directly to Star Windshield? ANALYSIS I. The Minnesota No-Fault Automobile Insurance Act requires �the mandatory submission to binding arbitration of all cases at issue where the claim at the commencement of arbitration is in an amount of ,000 or less against any insured�s reparation obligor for no-fault benefits or comprehensive or collision damage coverage.� Minn. Stat. � 65B.525 (2006). The first issue in this case�which the parties frame in terms of subject-matter jurisdiction�is whether the district court may rule on legal questions before compelling arbitration under the act. This issue involves a question of law, which we review de novo. See Olmanson v. LeSueur County, 693 N.W.2d 876, 879 (Minn. 2005) (reviewing question of law de novo). When should legal questions be submitted to arbitration? The general rule is that an issue should first be submitted to arbitration if it is �reasonably debatable� whether the issue is covered by the arbitration clause in a contract. See State v. Berthiaume, 259 N.W.2d 904, 909 (Minn. 1977) (stating that arbitrator should decide issue of whether dispute is arbitrable if issue is reasonably debatable); Cmty. Partners Designs, Inc. v. City of Lonsdale, 697 N.W.2d 629, 632 (Minn. App. 2005) (same); see also State by Sundquist v. Minn. Teamsters Pub. & Law Enforcement Employees Union Local No. 320, 316 N.W.2d 542, 544 (Minn. 1982) (stating that generally arbitrator is final judge of law and fact). unauthorized arbitration of both the coverage dispute and the merits of the insured�s claim.� U.S. Fid. & Guar. Co. v. Fruchtman, 263 N.W.2d 66, 71 (Minn. 1978). Thus, �it is not inappropriate for the parties to seek . . . a judicial determination of coverage prior to arbitration.� Myers v. State Farm Mut. Auto. Ins. Co., 336 N.W.2d 288, 291 (Minn. 1983). 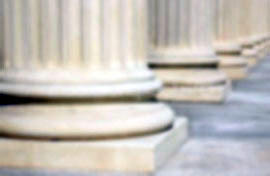 The same standard applies in no-fault-arbitration cases, where arbitration is required by statute rather than contract. See Johnson v. Am. Family Mut. Ins. Co., 426 N.W.2d 419, 421 (Minn. 1988) (holding that courts must determine legal issues in no-fault-arbitration cases). Arbitration is only mandatory under the act if there is a �claim . . . for no-fault benefits or comprehensive or collision damage coverage.� Minn. Stat. � 65B.525. Thus, by the text of the statute, the district court must determine whether the claim and the benefits exist before compelling arbitration. Furthermore, in no-fault arbitration, the courts have a duty to provide consistent statutory interpretation. Johnson, 426 N.W.2d at 421. Therefore, district courts have an additional reason for determining legal questions before compelling arbitration. opinion suggests that a district court may not rule on coverage or legal issues as a screening measure to consistently prevent unauthorized arbitration. In fact, in Ill. Farmers Ins. Co., the supreme court remanded the case to the district court to determine whether arbitration should be compelled under the facts of the case. Id. at 807. In this case, Auto Owners has raised a coverage dispute. It requested a declaratory judgment that it was not required to pay money to Star Windshield under the terms of the insurance contract. This is the type of issue that can be judicially determined prior to arbitration. See Myers, 336 N.W.2d at 290-91 (permitting prior judicial determination of whether underinsured-motorist provision in policy applied to passenger in car that struck tree). Therefore, the district court properly ruled on the coverage issue before deciding whether to compel arbitration. II. The standard insurance contract used by Auto Owners states, �No interest in this policy may be assigned without our written consent.� Star Windshield argues that this provision did not prevent the policyholder from assigning the proceeds. According to Star Windshield, Minnesota law permits the assignment of postloss property-insurance proceeds even when a policy includes a nonassignment clause. The interpretation of a contract provision involves a question of law, which we review de novo. Alpha Real Estate Co. of Rochester v. Delta Dental Plan of Minn., 664 N.W.2d 303, 311 (Minn. 2003). nonassignment clause should not apply to postloss assignment of proceeds. We note initially what we consider to be an overarching principle that threads through Minnesota appellate court opinions that have addressed the issue of nonassignment clauses in insurance policies. The principle is that insurers should not have to do business with parties with which the insurer has not chosen to enter a contractual relationship. This principle, although not explicitly set forth in most case law, is illustrated with special clarity where an insurer, as here, is compelled to negotiate with a non-contractual party issues involving the actual dollar amounts owed on a claim. Review of case law both informs our decision here and assists in our harmonization of precedent that both parties cite to support their opposite positions in addressing the issue of nonassignment clauses. As a preliminary matter, we note that the Ill. Farmers Ins. Co. decision does not support Star Windshield�s argument that postloss proceeds are assignable. 683 N.W.2d at 792. The issue of whether postloss proceeds were, in fact, assignable was not discussed by the supreme court. Id. It was not necessary to address that issue because it was not raised. Id. Although the supreme court references Minnesota�s statutory scheme for automobile insurance, the reference does nothing to bolster the strength of Star Windshield�s reliance on that case. See id. at 792 (stating that �[b]y forbidding deductibles Minnesota�s statutory scheme for automobile insurance essentially removes the auto glass customer from the payment process� and that �[a]s a result, auto glass companies routinely bill their customers� insurance companies directly�). In this court�s decision in In re Estate of Sangren, we permitted the assignment of insurance proceeds despite the presence of a nonassignment clause. 504 N.W.2d 786, 790 (Minn. App. 1993), review denied (Minn. Oct. 28, 1993). But that case does not establish a general rule permitting the assignment of insurance proceeds. Instead, our decision was based on waiver. Id. Because the insurance company had failed to assert its right to nonassignment, the insurance company could not change its mind four months later and attempt to enforce the nonassignment clause. Id. Thus, the nonassignment clause was not enforced because it was waived. Id. In Liberty Mut. Ins. Co. v. Am. Family Mut. Ins. Co., the supreme court held that a nonassignment clause prevented an attempted assignment of an insured�s existing claim for benefits. 463 N.W.2d 750, 755-56 (Minn. 1990). In that case, a driver, who had been involved in an automobile accident, settled with the insurer for another driver who was found to be 85 percent at fault. Id. at 752. As part of the settlement, the driver that was 15% at fault assigned to the other driver�s insurer his right to recover on his own uninsured/underinsured policy, up to 5,000. Id. at 752-53. The supreme court held that this assignment was not an assignment of the personal-injury action itself and thus not an assignment prohibited by law. Id. at 755. Nonetheless, the supreme court concluded that the nonassignment clause prohibited the assignment. Id. at 756.
supreme court suggested that public policy would be advanced by enforcing the nonassignment clause. Id. Although the supreme court used narrow language in Liberty Mut., its reasoning is generally applicable to the case before us. It is difficult to imagine an assignment of postloss proceeds that does not raise the public-policy concerns associated with champerty and maintenance. In this case, Star Windshield has attempted to purchase the policyholders� ability to collect against the insurance company. If such assignments were permitted, the insurance company would face additional risk that it expressly avoided through the language of the contract. Because of the public policy against champerty, as expressed in Liberty Mut., a nonassignment clause can properly restrict the assignment of postloss proceeds. proceeds, explaining that the assignment was not precluded by the language of the State Farm policy: [Reitzner] did not receive a pure assignment of the policy, but rather, received an assignment of the proceeds due under the policy should the claim be successful. An assignment of insurance monies due on a successful claim does not require the insurance company�s written consent. An insurance company has a right to put in its policy a provision that the policy cannot be assigned without its consent, but an insured can put in a claim under a policy and promise the claimed proceeds to another without first checking with the company. Id. at 26. In Reitzner, the insurance contract prohibited only the assignment of the �policy� itself. In this case, the insurance contract prohibits the assignment of any �interest in this policy.� Thus, the language of the nonassignment clause here has a considerably broader sweep. In addition, we note that in Reitzner, unlike in this case, there was no indication that the amount payable by the insurer would be challenged or that the assignee would be in a position to contest that amount. In Wilkie v. Becker, the supreme court upheld the assignment of proceeds from a farm auction. 268 Minn. 262, 267-68, 128 N.W.2d 704, 707-08 (1964). Although the assignment was upheld, that case did not involve a nonassignment clause. In upholding the assignment, the supreme court expressly noted that a contract could prevent assignment of money due under a contract if the parties manifested their intention that the contract not be assignable. Id. at 267, 128 N.W.2d at 707. Thus, Wilkie also supports the view that a nonassignment clause can limit the assignment of postloss proceeds. void the policy under a provision that if it is assigned without the insurer�s consent it shall become void. Id. at 283, 43 N.W.2d at 102. Because there was no assignment at issue, this reasoning was not necessary to the supreme court�s decision. Furthermore, we again note that the policy in this case does more than just limit the assignment of the policy. It prohibits the assignment of any �interest in� the policy. In addition, although Windey permitted an assignment, the opinion contains no indication that the parties disputed the amount due under the assignment, nor is there any indication that the insurer would in any way be compelled to negotiate with the assignee�a party with whom it had no contractual relationship. The law regarding nonassignment clauses was recently revisited in Travertine Corp. v. Lexington-Silverwood, 683 N.W.2d 267 (Minn. 2004). In Travertine, the supreme court addressed a �management agreement� under which James E. Lennon was to provide management services to Travertine Corp. 683 N.W.2d at 269. The agreement contained a nonassignment clause limiting Lennon�s ability to assign his rights under the management agreement. Id. at 269-70. Lennon then attempted to assign his right to compensation under the agreement to Lexington-Silverwood as part of the settlement of an unrelated dispute. Id. at 270. When Lexington-Silverwood attempted to collect the compensation due to Lennon, Travertine asserted its rights under the nonassignment clause. Id. The primary issue in Travertine was whether the language in the nonassignment provision was sufficiently clear to invalidate the attempted assignment. Id. at 270-74. The court held that �[w]hen a contract prohibits assignment in very specific and unmistakable terms, any purported assignment is void.� Id. at 273. Thus, the supreme court concluded that the nonassignment clause in the management agreement was sufficiently specific and contained unmistakable terms that were definite enough to limit Lennon�s ability to assign his rights. Id. at 274. Travertine also acknowledged the general rule that money due under an existing contract is assignable. See id. at 272 (citing Wilkie, 268 Minn. at 267, 128 N.W.2d at 707). But the court went on to emphasize that this general rule only applies when the parties have not included something in the contract�such as a nonassignment clause�manifesting their intention that the contract be non-assignable. Id. We note, also, that in Travertine there was no indication that the amount due the assignor was fixed. The record in that case indicates that the attempted assignment was of a percentage of the company�s net profits. Id. at 269-70. It is very possible that this amount would have been disputed. assignment of fixed postloss proceeds,1 it would not apply to the case before us. Therefore, because we conclude that Travertine controls our analysis, we conclude that Auto Owners can assert its rights under the nonassignment clause and that the assignment to Star Windshield is invalid. We see no basis upon which to distinguish this case from those cases reflecting the tradition of Minnesota contract law simply because one of the parties here is an insurance company. In Vetter v. Sec. Cont�l Ins. Co., the supreme court noted that insurance policies�such as the one in this case�are treated like ordinary contracts unless a statutory limitation applies. 567 N.W.2d 516, 521 (Minn. 1997). The supreme court then went on to explain that �in the absence of a contractual provision to the contrary, an obligor on a contract may assign all beneficial rights to another, or may delegate his or her duty to perform under the contract to another, without the consent of the obligee.� Id. (emphasis added). Thus, the court anticipated that a contractual provision could limit a policyholder�s ability to assign insurance proceeds. We conclude that Minnesota case law fully supports and is fully consistent with our conclusion that a nonassignment clause can limit the assignment of postloss insurance proceeds, such as the amount due for the windshields in this case. III. 1 Indeed, public policy would almost certainly prohibit enforcement of a nonassignment clause in the hypothetical case of an insured receiving a check from an insurer and endorsing that check over to a third person. Windshield. Waiver of rights under a contract ordinarily involves a question of fact. Fedie v. Mid-Century Ins. Co., 631 N.W.2d 815, 819 (Minn. App. 2001), review denied (Minn. Oct. 16, 2006). Summary judgment is appropriate only when no genuine issue of material fact exists. Yang v. Voyagaire Houseboats, Inc., 701 N.W.2d 783, 788 (Minn. 2005). The rights provided in a nonassignment clause can be waived. Sangren, 504 N.W.2d at 790. The waiving party must make a voluntary and intentional relinquishment or abandonment of a known right. Id. In this case, the record shows that Star Windshield billed Auto Owners directly for its work. Auto Owners then made a payment directly to Star Windshield. Auto Owners objected to the assignment only after Star Windshield disputed the amount of the payment. An insurance company has constructive knowledge of its right to nonassignment. Id. statute, the company did not voluntarily and intentionally relinquish its right to nonassignment. Therefore, no genuine issue of material fact exists as to waiver and the district court properly granted summary judgment. D E C I S I O N Because Minnesota�s No-Fault Automobile Insurance Act permits district courts to resolve coverage disputes, and because the nonassignment clause in respondent insurer�s policy is enforceable, and was not waived, the district court properly granted summary judgment. Affirmed.